How much do marketing technology and operations professionals make? Is there a gender pay gap, and if so, where does it exist? How often do martech professionals get promotions? As the lines between marketing, technology and management continue to blur, we wanted answers to some of these questions. We surveyed more than 800 marketing professionals to come up with the answers – take a look! 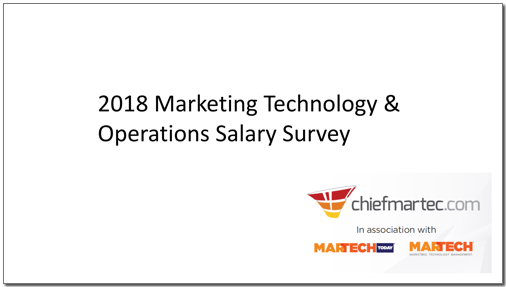 Get the results of our 2018 Marketing Technology & Operations Salary Survey here. Join us at SMX® Advanced, June 3-5 in Seattle! This elite conference was designed exclusively for advanced marketers looking to perfect their skills and dive deep into search marketing. SMX Advanced will also host the 2019 Search Engine Land Awards ceremony and afterparty… if you’re eager to impress new clients, earn community praise, and take home the highest honor in search, enter now!